The Order of the Arrow is Scouting’s national honor society. For over 100 years, the Order of the Arrow (OA) has recognized Scouts and Scouters who best exemplify the Scout Oath and Law in their daily lives. 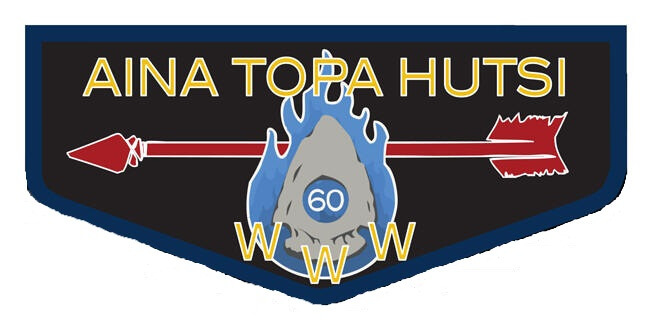 Since 1931, the Aina Topa Hutsi Lodge has been an active part of the Alamo Area Council. The Lodge is led by a group of youth and adults who believe in the vision and spirit of Scouting. Each year, Ordeals are held to induct new members. Fellowships are also held which provide opportunities for OA members to gather and enjoy the Scouting spirit.